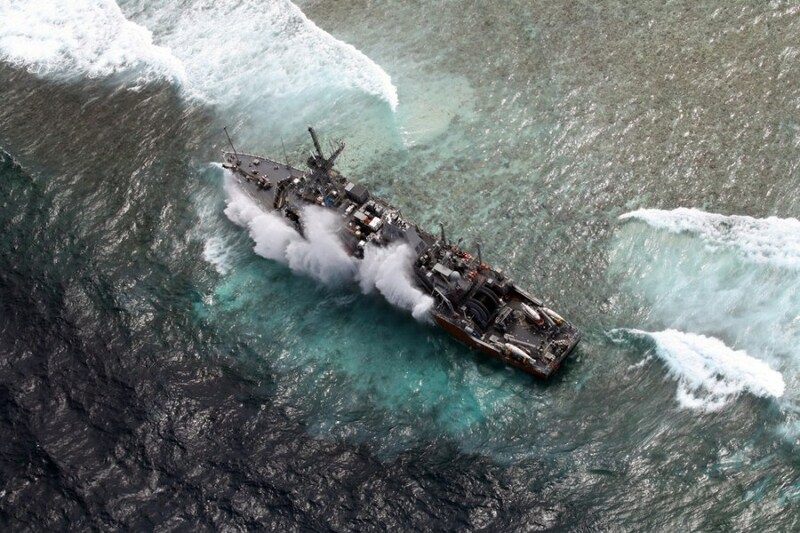 A photo released on Jan. 20, 2013 by the Armed Forces of the Philippines Western Command (AFP-WESCOM) shows the US Navy ship USS Guardian remaining stuck in the vicinity of the Tubbataha Reef, western Philippines, on Jan. 19. The U.S. Navy ship USS Guardian remains stuck on a reef off the Philippines four days after the minesweeper ran aground. In a statement, the U.S. Navy said preliminary findings of a review by the U.S. National Geospatial-Intelligence Agency found that digital navigation chart data was inaccurate and had "misplaced the location of Tubbataha Reef." This "may have been a factor in the Guardian grounding." "While the erroneous navigation chart data is important information, no one should jump to conclusions," U.S. Pacific Fleet spokesman Capt. Darryn James was quoted as saying in the statement. "It is critical that the U.S. Navy conduct a comprehensive investigation that assesses all the facts surrounding the Guardian grounding." 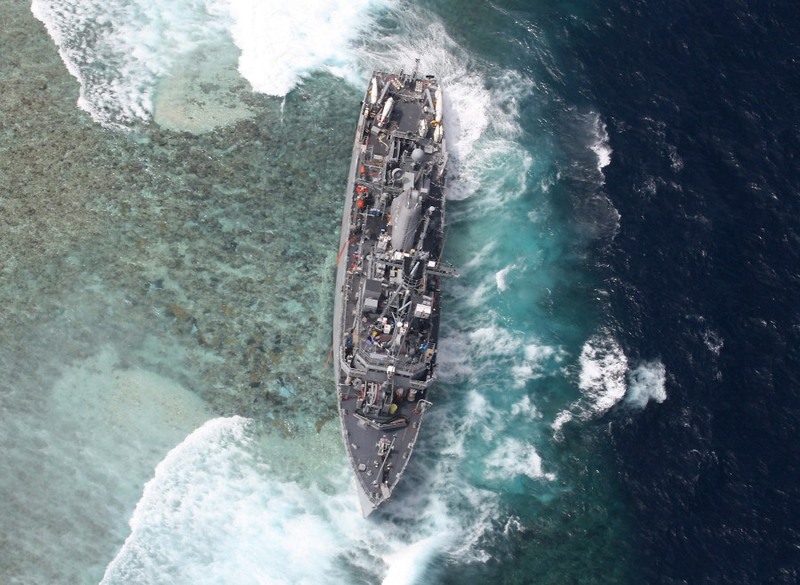 The USS Guardian remains trapped on the Tubbataha Reef in a photo taken on Ja. 19, 2013 and released on Jan. 20. Photographs showed the ship had moved on the reef. Initially it was pointed bow first into the reef, but it has now turned 90 degrees. The Navy Times reported that areas of the ship were flooded, and cited the Navy as saying there had been a "slight increase to a port list" Saturday.